Late last year Toshiko Fujita, the original voice of Taichi in Digimon Adventure, passed away. There were numerous short messages from people who had known her throughout her long career, along with their memories, and occasionally photos. With a bit of time having passed, and it being the official start to spring in Japan, Seki Hiromi, the Digimon anime's original producer, wrote a farewell message to Fujita, which she is sharing with the fans. It was posted to the Digimon Adventure website, which doesn't have direct page linking, but was also posted in image form to the Digimon Adventure 20th Twitter. The message is to the fans, other Digimon staff members, and Fujita herself, and includes thoughts, memories, and even revealing a recent production secret that many have guessed at. 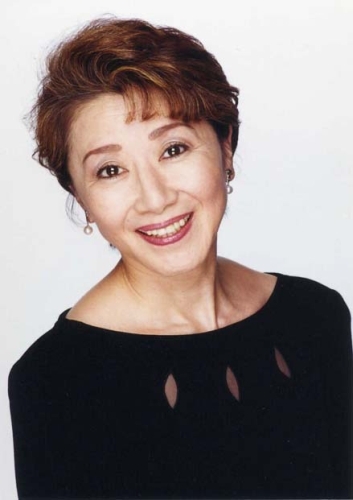 As last year came to an end, the voice of Taichi Yagami in Digimon Adventure, Toshiko Fujita-san passed away. On the 49th day of her death, and the beginning of spring, I would once again like to express my gratitude in this farewell message to her. I first met Fujita-san in person 35 years ago from now in the recording studio of 'Tabakku'. At that time I was just a desk worker and had went to the studio to deliver some things on an errand. Leaning on the door frame of the recording studio labelled '1 Star' stood a beautiful person. That cool yet beautiful woman was Toshiko Fujita-san, the one that I only knew by voice until now, herself. I remember feeling that she resembles Marlene Dietrich, the beautiful actress, from the classic masterpieces walking through a desert holding high heels in her hands. This veteran was Yoshifumi Hatano (now deceased) a producer from the time of "Wolf Boy Ken". 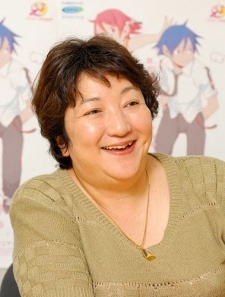 The veteran producer who had known Fujita-san since she was 16 years old would lovingly call her by the pet name ‘Toko’. After that, Fujita-san was taught by the producer of Dragon Quest Adventures, Yoshio Takami (now deceased) about the so called skill of ‘kime-uchi’ (targeted casting) actors without taking auditions, through the works produced by our company. This practice of Toei to honor actors who were a part of big series’ like ‘Ikkyu-san’ and many other similiar programs was an embodiment of it’s appeal. While developing the program ‘Digimon Adventure’, I also conformed to the customs and requested Fujita-san to take the role of the protagonist, Taichi Yagami, through kime-uchi, and while keeping her voice floating in my head, I continued conducting the auditions for the other main cast members. A few years ago, even the young producers who began ‘Digimon Adventure tri.’ naturally wanted her voice as well. However, as she was already struggling with her disease, she declined. Due to the terms set by Fujita-san with her agency, they were not allowed to reveal the name of the disease. In the matters of handling personal information this is indeed the kind of information that needs to be handled most delicately. Nevertheless, the young producers had no choice but to proceed with the project without her. It was easy to conclude that the change of voice actors would lead to mixed reactions and even if the producers were criticized they would not be able to disclose the information about Fujita-san’s health. ‘I cannot leak the secrets I learned during my work’, this painful side of work that producers experience is something that I have felt and I think I have endured it well. Today, as spring approaches, I took up the brush with the intent of lightening the burden in their hearts. As she could not help but struggle against the side effects of the medicine, she tried to narrow down the work she took to the kind that she could complete by herself, like narrations or voice recording for games. In a drama where she would be required to interact with everyone, Fujita-san was worried about to whom or how she might end up causing some trouble, and this consideration of hers is what I think captures the essence of a pro’s conscience. Two years ago on Februrary 1st, 2017, Fujita-san visited us with her manager. And these are the final words Toshiko Fujita-san spoke to me. In the lunar calendar, the first day of spring marks the beginning of the new year. 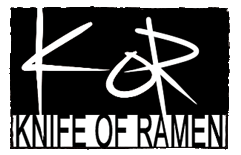 This is not a message of condolence, no I purposefully made this a farewell message to you as you pass on to a new world where you will be reunited with other members of the series who have passed on before you, and maybe even have a ‘kime-uchi’ presence in the new project, or so I would like to hope. Like the student representative in a graduation ceremony, I present this farewell address. The reply, is something that I will listen to carefully through my heart. The fans, the cast, and everyone who has been a part of Digimon Adventure, let’s engrave Fujita-san’s words in our hearts and move forward. A very nice message from Seki Hiromi to the fans and Fujita, including sharing a number of memories with us. Seki Hiromi moved from producer to supervisor at Toei a number of years ago. Despite that, she's produced a number of Digimon audio dramas since then, and will be supervisor for the upcoming 20th Anniversary Digimon Adventure anime. Thanks to Ayushi for the translation, which was cleaned up for some clarity by myself. What a sweet way for Ms. Seki to pay tribute while also revealing some fascinating production tidbits (and some fun insight into how Toei, as a company, works with actors). No doubt the most interesting revelation here is that Ms. Fujita was originally approached to work on tri., and it was only after she regrettably declined that they chose to move forward with different actors. For me, that sheds all-new perspective on... well, just about everything that's happened with this franchise these past five years. Considering her contract forbade Toei from disclosing why she had been replaced, I wouldn't be surprised if the sole reason they recast all of the Chosen Children was just so that Ms. Fujita's absence wouldn't attract attention to itself. Absolutely fascinating stuff. I've been pretty harsh on the tri. actors. I simply didn't want these characters recast. I'd assumed it was because they were dropping the veteran talent in favor of "hot new stars" like M·A·O and, just as Ms. Seki predicted, I and many others were criticizing Toei for a decision they were forced to make and weren't allowed to explain why. This whole situation is a much-needed reminder that filmmakers have to make sacrifices that are out of their control and that we entitled fans don't always have the full story when we complain. The fact that Ms. Fujita not only accepted her replacement with such grace, but also gave the new cast her blessing, is a heartwarming cherry on top of a truly bittersweet story. This tribute message gives me newfound respect for Ms. Seki, Ms. Fujita, the tri. cast, and just about everyone involved at Toei Animation. Thank you for translating this, Ayushi! Last edited by MagicBox; 02-08-2019 at 07:32 PM. This type of information would have made the entire recast so much easier to swallow. I remember thinking how uncharacteristic it was, Japan has allot of respect and loyalty to their voice actors, to have them all recast? It really felt disrespectful. It actually really warms my heart to know that this wasn't the case, and I'll be able to cheer on the new cast much more confidently. Anyone up for some friendly Adventure chat through PM!? Aww, what a sweet farewell message. In a sense, I think it is lovely that Adventure continues on even now. People just enjoyed it that much. Recasting the role of Taichi to Natsuki Hanae was like passing the torch. (Or rather, goggles.) I commend Natsuki Hanae for the vocal portrayal on the character on Tri. I think Toshiko Fujita herself would very much approve as well of Hanae's performance of the beloved character. Bored of Knife of Day? adventure, adventure tri., digimon, tri.